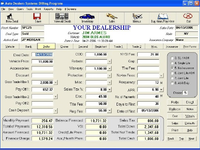 We have specialized in used car dealerships in New York State only since 1972. 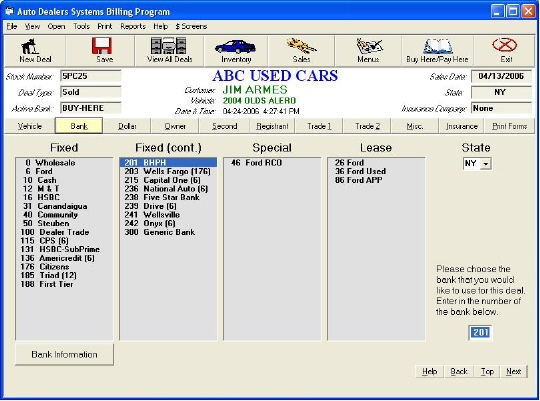 A comprehensive DMS software package for used car dealerships in upstate NY since 1972. Pros: Offered free trial and tried this for someone's needs. The software is ok and out of 5, I guess 3 is my rate. Cons: Software as it is but I think it's missing something and that's all they can offer. I wish they can upgrade on more features. Stephanie, who are you and why are you writing a review about a company that has never offered free trial software. This is a fake review. 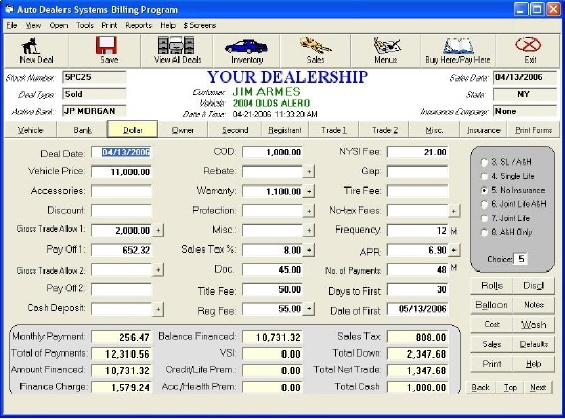 You are not a customer of ours and you have never used our software. You should refund the $10 that you were given for writing this review.